Butterflies are magical creatures! They are one of the most beautiful insects of the animal kingdom. 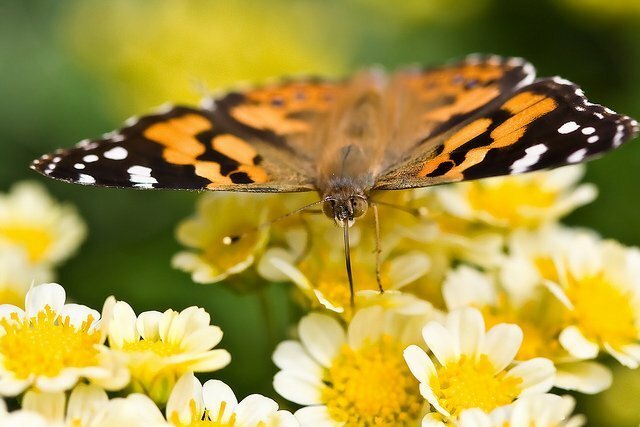 Not many animal lovers are aware of the fact that Butterflies have an extraordinary life cycle! Here is a brief description of each stage of the butterfly life cycle! 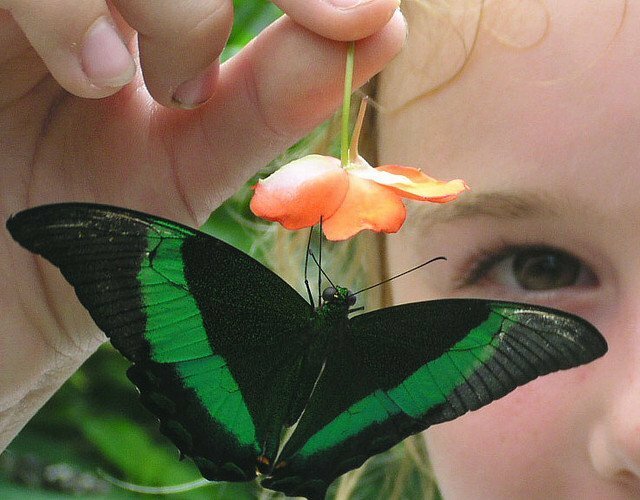 Butterflies have always captured our imaginations. They come in hundreds of shapes and colors. 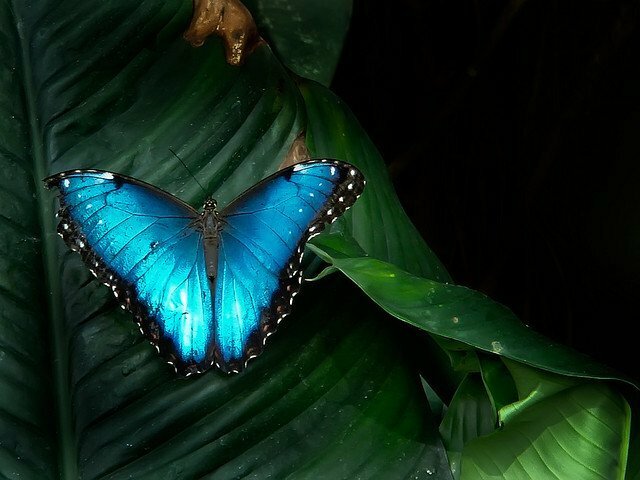 The shades on this blue butterfly is breathtaking! I’m sure that as children, we all have tried to catch a butterfly in our hands, and failed! Let’s take a step by step look on each stage of the life cycle of a butterfly. 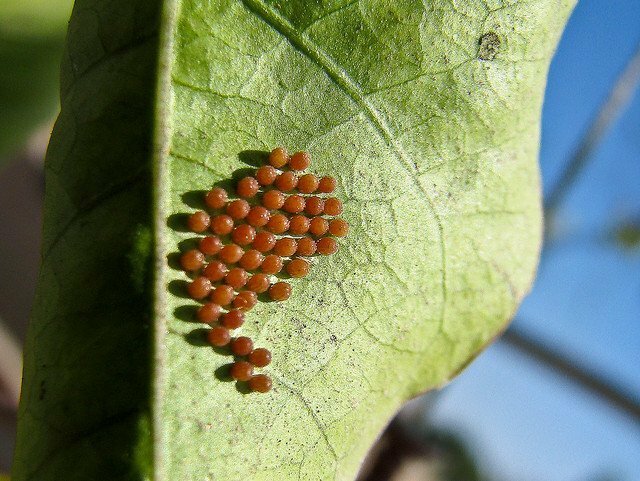 A female Butterfly lays 25-40 small oval eggs on a leaf. 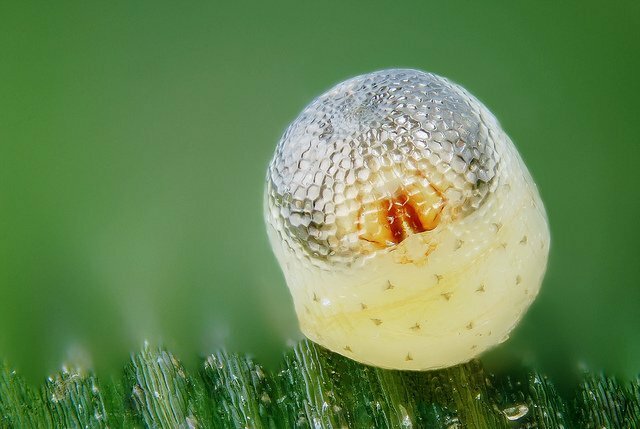 A closer look a single butterfly egg. Here you can clearly see an embryo in the egg ! 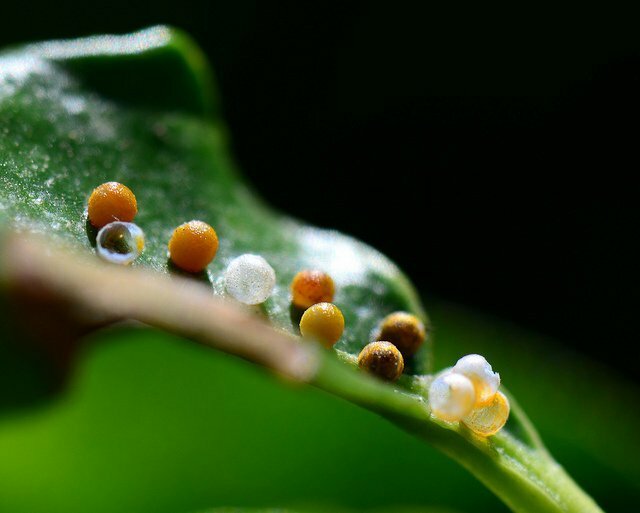 Only some of the butterfly eggs hatch, leaving behind empty egg shells. These caterpillars eat the same leaf on which the mother butterfly had laid eggs in. Each caterpillar eats only certain kinds of leaves. Hence, the mother butterflies lay their eggs accordingly. 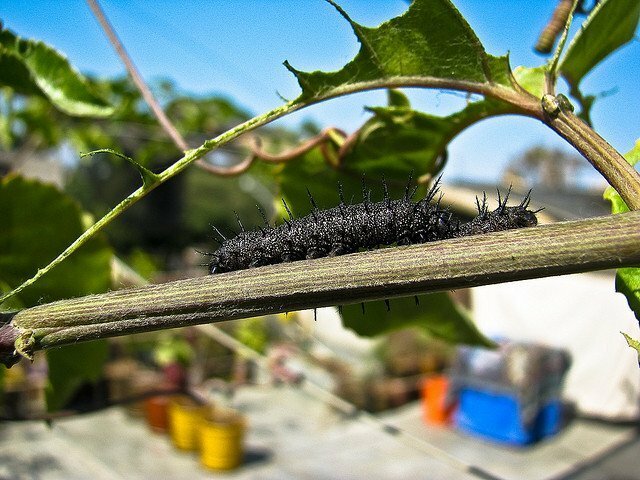 Caterpillars, like butterflies come in different shapes and sizes depending on their species. 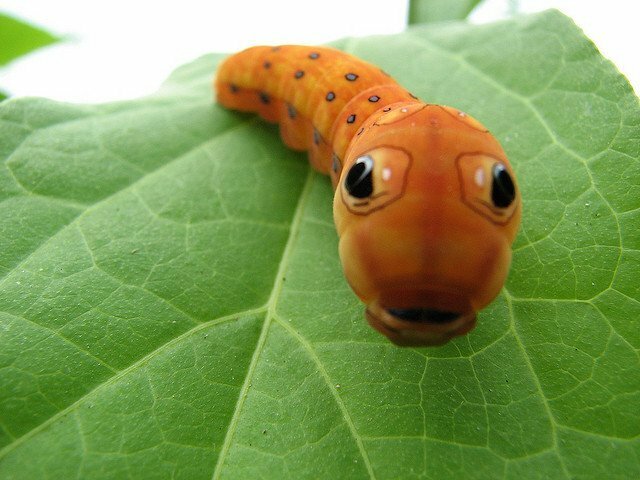 Don’t be fooled by the pattern on this caterpillar. The ‘Eyes’ are only spots! 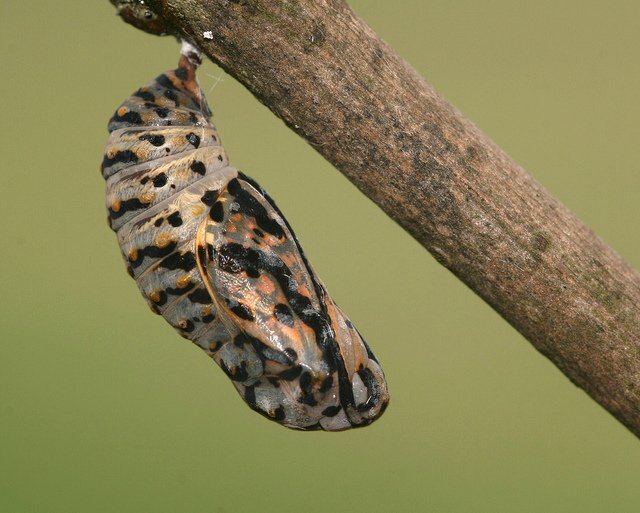 When the caterpillar is grown fully, it places itself on a branch and begins its transformation into a Pupa, also known as chrysalis. 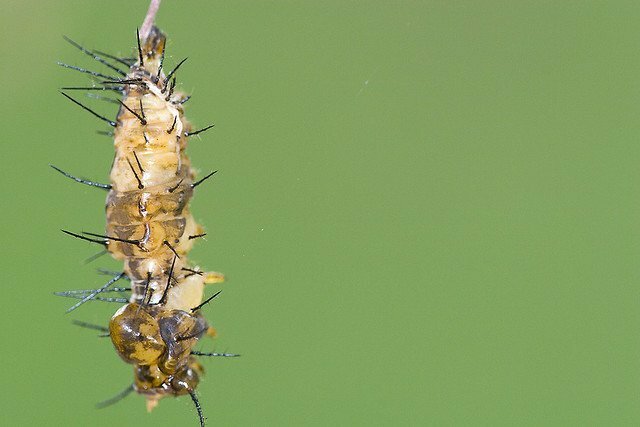 This is a fully grown Pupa. 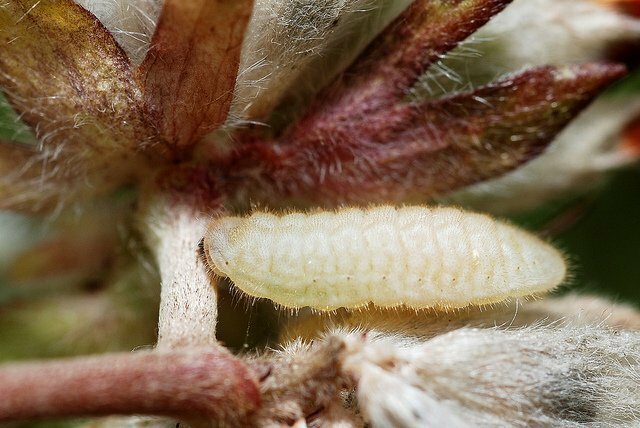 Inside the Pupa, the whole body of the caterpillar undergoes a complex process called metamorphosis. It is during this process where the parts of a butterfly start appearing. Finally, the beautiful butterfly emerges out of its pupa and begins its journey as an adult butterfly! This adult Yellow Butterfly is having its food! 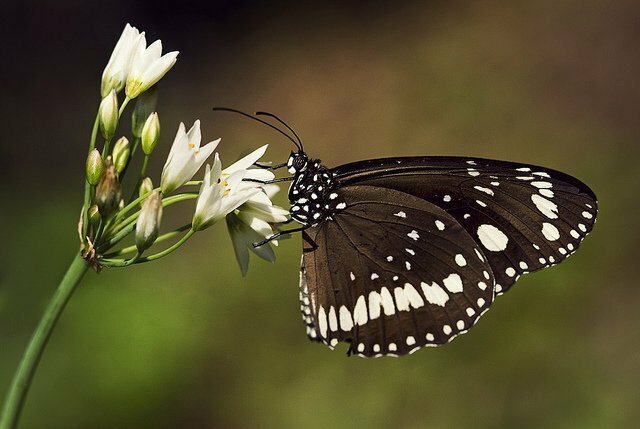 Butterflies feed on the sweet nectar of flowers. Within three-four hours, the butterfly learns to fly and starts looking for a mate! 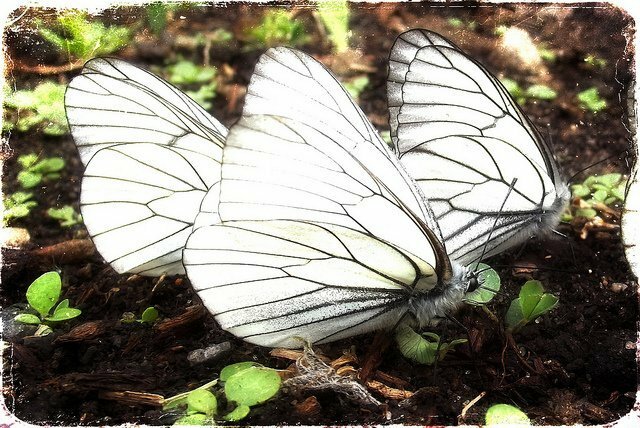 These three white butterflies look pleased at the amazing journey they’ve taken!